The 22nd annual SXSW Interactive Innovation Awards Presented by KPMG recognize the most exciting tech developments in the connected world. Experience these exciting new technologies for yourself at the 4th annual SXSW Interactive Awards Finalist Showcase on Saturday, March 9. Then come and see who will take home the trophies, at the Interactive Innovation Awards Ceremony on the evening of Monday, March 11. See the 4th annual SXSW Interactive Awards Finalist Showcase floor plan. 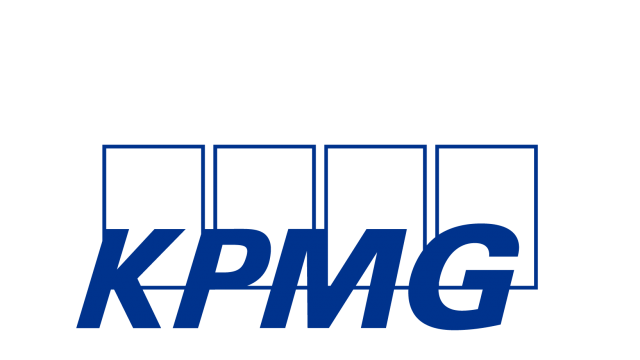 KPMG is the independent U.S. member firm of KPMG International with 189,000 professionals, including more than 9,000 partners, in 152 countries. Using a cross-functional and collaborative approach, we help propel the world’s leading organizations toward a successful future while optimizing current performance. KPMG has embarked on its own transformational journey by investing in artificial intelligence and we are helping our clients understand how these emerging technologies will revolutionize the way every industry does business to lead to what some call the fourth industrial revolution. Explore 2018’s most innovative digital projects hands-on at the 4th annual SXSW Interactive Awards Finalist Showcase. 65 Finalists across all 13 competition categories will be on hand to demo their innovative projects for SXSW attendees, who will have the chance to vote for their choice to win the People’s Choice Award. Also during the Showcase, the Innovation Awards judges will experience each project hands-on and vote to determine the winner in each category, as well as the winner of the Best of Show Award. 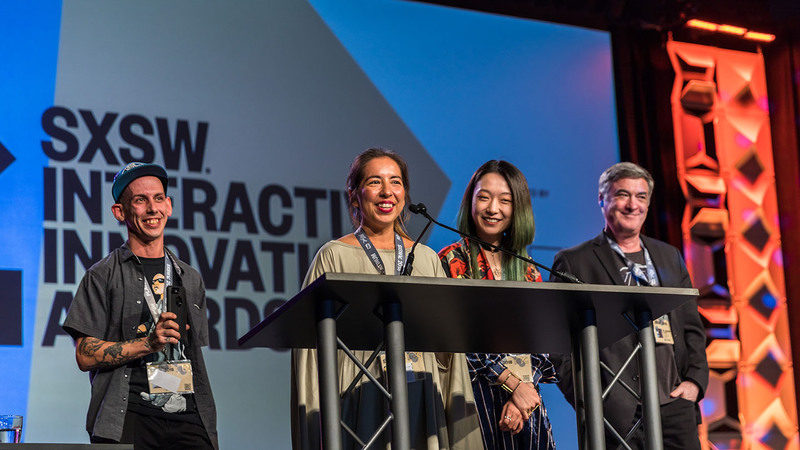 All award winners will be announced at the 22nd annual SXSW Interactive Innovation Awards Ceremony presented by KPMG on Monday, March 11, 2019. The 22nd annual SXSW Interactive Innovation Awards Ceremony presented by KPMG is where it all comes together. This long-standing Interactive Festival tradition celebrates some of the most exciting innovations at SXSW. The ceremony and receptions provide for a full evening of fun, food, drinks and entertainment. Beth Stelling is a Chicago-bred comedian best known for her Netflix special The Standups and appearances on Jimmy Kimmel Live and Conan. She’s written for I Love You America with Sarah Silverman, HBO’s Crashing, Comedy Central’s Another Period and most recently the film Good Boys premiering here at SXSW. Beth has also guest starred on Comedy Central’s hit show Corporate and Amazon’s Red Oaks opposite Jennifer Grey. Moritz Simon Geist is a performer, musicologist, and robotics engineer. He started because he wants to invent the future of electronic music – with robots! Geist’s projects range from robotic music performances to robotic sound installations. His robotic instruments and performances have been shown in numerous European festivals and exhibitions throughout the last years. He collaborates with performers such as Mouse on Mars and Robert Lippok and teaches on the progression of technology and society at the NYU Berlin. He was awarded the Artist-In-Residence-Stipend for the Free State of Saxony, the Visual Music Award 2017 and a working grant of the Initiative Music 2017/18. His background is both as a classical musician and a robotics engineer, with expertise in prototyping technologies and 3D-Printing. “Tripods One” is a futuristic robotic sound performance. It sketches a possible future of human-machine interaction – with robots and electronic music. The kinetic sculpture is played live as a music instrument in an AV-performance. Small mechanics and physical tone-generators insides the sculpture produce the noises used in the musical context. The sculpture envisions a futuristic sound device which plays contemporary electronic music through music robots. In the performance, Geist is still present on stage controlling and interacting with the machine. The SXSW Interactive Innovation Awards celebrate the most forward-thinking developments in the connected world. Below are the 2019 winners! Honoring digital systems which have the ability to adapt to changing data, stimuli, and circumstances; replicating learning, problem-solving, and cognition. Honoring those exceptional trailblazers whose work has helped shape the connected world and who continue to guide the direction of the digital industry. Learn about our 2019 Hall of Fame Inductee, Founder and CEO of Black Girls CODE, Kimberly Bryant. A project or product submitted for the SXSW Innovation Awards must have launched or have been completely redesigned in calendar year 2018 (between January 1, 2018 and December 31, 2018). Applicants may enter multiple projects or products. There will be an additional application fee for each additional project or product entered. A project or product may be entered in multiple categories. There will be an additional application fee for each additional category in which the project or product is entered. Please be sure your application is complete before submitting it. Entries may not be changed or updated once the entry has begun the evaluation process by our panel of judges. If you believe you have made an error on your application or have submitted the entry prematurely, please contact interawards@sxsw.com immediately. A non-refundable entry fee is required from all applicants who would like to be considered for the above awards categories. All SXSW Innovation Awards entrants will be given the chance to register to attend SXSW Interactive at the lowest early bird rate. SXSW Innovation Awards finalists receive 2 complimentary Platinum registrations. The entry period for the 2019 Interactive Innovation Awards is currently closed. Five finalists in each of the 13 categories will be announced in December 2018. Each finalist entry receives 2 complimentary SXSW Platinum registrations (badges) to attend the 2019 SXSW Interactive Conference & Festival. Finalists in each of the 13 categories will be given demo space at the SXSW Interactive Festival during the 4th annual SXSW Innovation Awards Finalist Showcase on Saturday, March 9, 2019. The showcase is an opportunity for awards finalists to exhibit their work to the community of SXSW registrants and is open to all badgeholders, who determine the winner of the People’s Choice Award. A finalist’s participation in this Showcase is required to be eligible to win the award in their respective category, as the final round of official judging to determine winners will take place at this March 9, 2019 event. Winners in each of the 13 categories and all special honor awards will be announced at the 22nd annual SXSW Innovation Awards Ceremony on Monday, March 11, 2019. Please Note: SXSW reserves the right to place applicants’ entries in the most relevant category at SXSW’s sole discretion. This includes changing an applicant entry’s category based on response to the event and/or the applicant choosing a non-relevant category. No refund will be given to any application that has been submitted. If you have any concerns regarding our fees and/or the application process please email interawards@sxsw.com prior to entering an application. If you wish to register before being notified by SXSW on your status as an entrant to the SXSW Innovation Awards you will not be eligible for a refund. All preliminary application information that is submitted is confidential and will be only viewed by SXSW staff and the selected judging panelists. Questions? Check out the Innovation Awards FAQ. Have more questions? Email interawards@sxsw.com with any questions regarding the SXSW Innovation Awards.